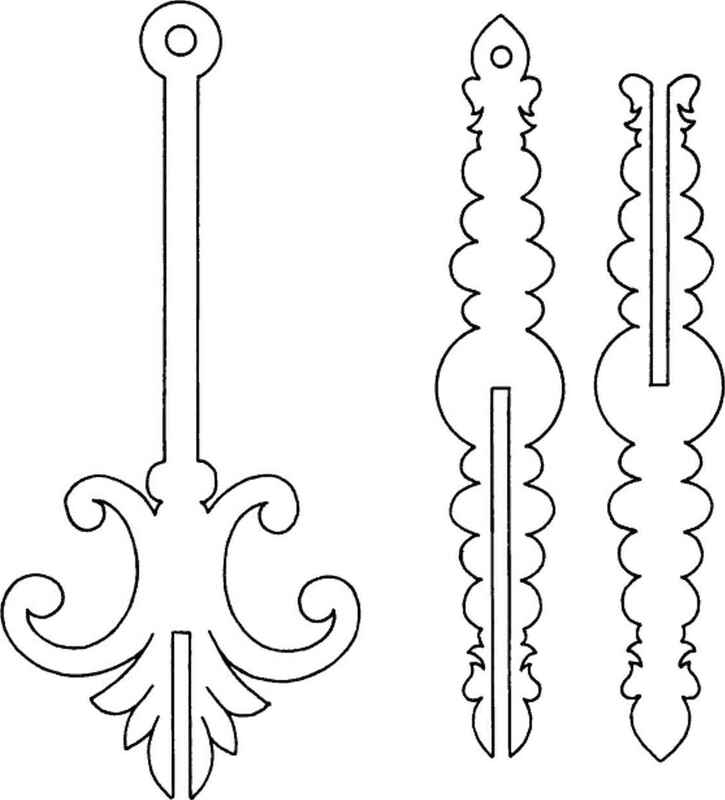 A quick, accurate way to transfer pattern lines from a drawing or magazine page is to usequilters template sheets sold in sewing and quilling shops. The Mylar surface is good for drawing, can be cut with scissors, and is rigid enough to trace around with pen or pencil. Now change bits in seconds with the new PowerCollet "
• Patented locking sleeve holds bit safely and securely. • Saves time, \ J especially when jobs require frequent bit changes. 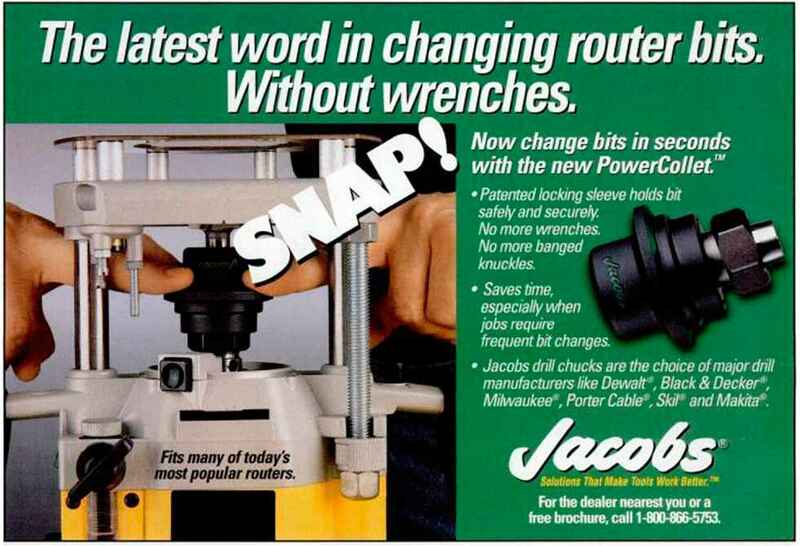 • Jacobs drill chucks are the choice of major drill manufacturers like DewaltBlack & Decker*', Milwaukee*, Porter CableSkit" and Makita'. For the dealer nearest you or a free brochure, call 1-800-866-5753. Fits many of todays most popular routers. * Call for your Guaranteed* lowest price!